As Bill Gates once said, “It seems pretty egocentric while we still have malaria and TB for rich people to fund things so that they can live longer.” Fortunately for us, shade from Gates hasn’t prevented the rich men of the world from trying. Peter Thiel’s bloodlust might be the latest kooky billionaire’s scheme to live forever, but he certainly wasn’t the first. Here’s a list of our favorite rich men seeking immortality. His Plan: A conquistador and son of a nobleman, de Leon was the original rich guy trying to live forever. 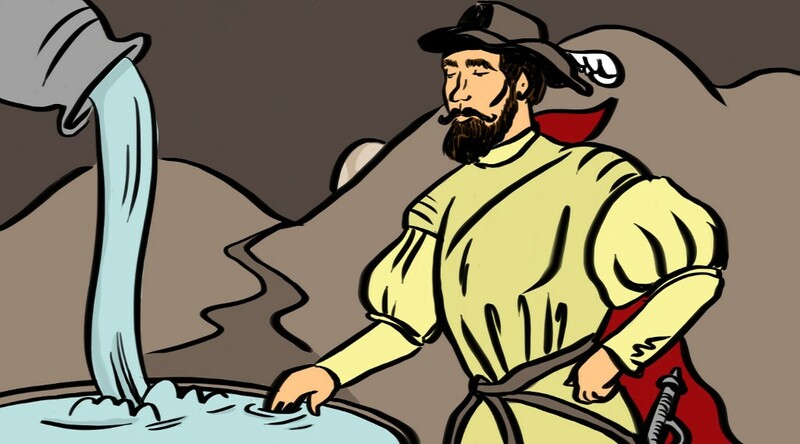 Because colonizing Puerto Rico wasn’t enough, de Leon also led the first known expedition to Florida, allegedly in search of the legendary “Fountain of Youth.” Historians argue that de Leon may in fact have been in search of a local aphrodisiac wine in hopes of selling it or had mistaken the native’s word for wine (“vid”) for life (“vida”). Regardless of his intent, de Leon didn’t find anything. Is It Possible? You’d have better luck with kombucha. 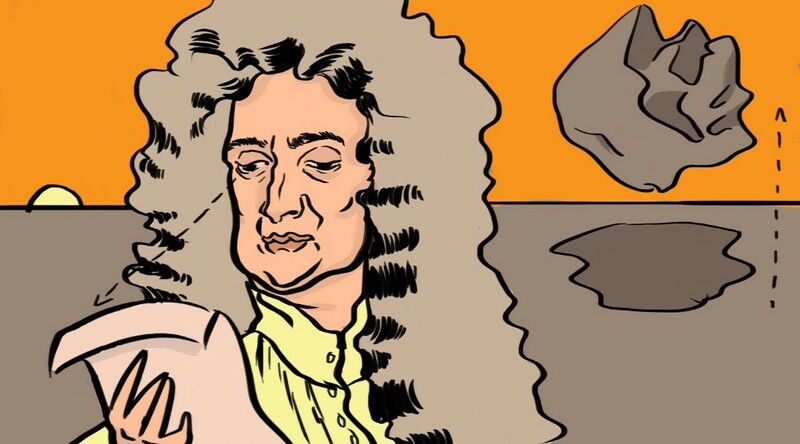 His Plan: Newton was the genius who discovered the laws of gravity, but like many scientists of his era he also believed in alchemy and other occult sciences that would not be accepted by any academy today. In 2016 historians found his recipe for a philosopher’s stone that would allow its owner to live forever. Is It Possible? If you also believe in everything else in Harry Potter. Otherwise, no. His Plan: If you think Donald Trump is the wackiest presidential candidate to date, you’ve never heard of Leonard Jones, who repeatedly ran for office in every election on the platform that he had the secret to immortality. A Kentucky gentleman, Jones gained his riches speculating land but then found himself more interested in speculating about God — joining the Methodists, Shakers and Mormons before settling on a much more bizarre cult. His “High Moral” party, of which he was the only member, believed that if you fasted and prayed on the regular you could live forever. Although the preacher who initially inspired his idea died shortly after they met, Jones was convinced it was just because he didn’t have enough faith. He also thought that he when other candidates — like Abraham Lincoln — died it was because God was upset that he himself had not been elected. Is It Possible? In 1868 Jones caught pneumonia but refused treatment since, you know, God made him immortal. He died anyway. His Plan: While the Fountain of Youth has not been found in Florida, the next best thing, Disney World, can be. Unfortunately for Walt Disney, a youthful spirit wasn’t enough to keep him from biting the dust. Urban legend suggests that Walt Disney instructed his family to preserve his body by freezing it in hopes that future technology would allow for its animation. Is It Possible? It’s been proven that Walt’s request is an urban legend, but it might not have been such a bad idea. In 2016 researchers at MIT managed to preserve the neurological functions of a rabbit brain using cryogenics, which could lead to human application in the future. His Plan: Charles Lindbergh might be best known for his solo nonstop flight across the Atlantic ocean, but aviation wasn’t his only obsession. He had a lesser-known relationship with Nobel Prize winner Dr. Alexis Carrel, with whom he worked to make human organs as replaceable as airplane parts. Lindbergh may have footed the bill, but according to David Friedman’s The Immortalists, both were driven by a desire to eliminate inferior races. If you’re curious, all you need to know is Lindbergh favored the Nazis. Is It Possible? The technology the two pioneered at the Rockefeller Institute helped push along innovations in modern organ transplants. Fortunately the Nazis still lost. His Plan: According to Adam Gollner, author of The Book of Immortality, the Oracle CEO’s foundation gives away more than $40 million a year to research that aims to end mortality or cure diseases that limit lifespan. Is It Possible? “Death makes me very angry,” Ellison told Gollner. Ellison is the sixth-richest person in the world, so he has both the resources and the motivation to at least keep trying. His Plan: He told The Washington Post in 2015, “I worry the FDA is too restrictive. Pharmaceutical companies are way too bureaucratic. A tiny fraction of a fraction of a fraction of NIH [National Institutes of Health] spending goes to genuine anti-aging research.” His answer: giving millions of dollars to researchers through his nonprofit Break Out Labs. These days, when he’s not suing media companies or supporting Donald Trump, he’s taking seriously the idea of infusing the blood of teens into his own veins. According to Inc., the process — named parabiosis — has been in practice since the 1950s, but it’s never really caught on in the scientific community until recently. Is It Possible? Laugh all you want, but the process has proven effective in lab tests on rodents. Testing on humans is just beginning, so Thiel might be jumping the gun a bit (or perhaps he’ll be around long enough for all these other idiots’ ideas to actually start working). 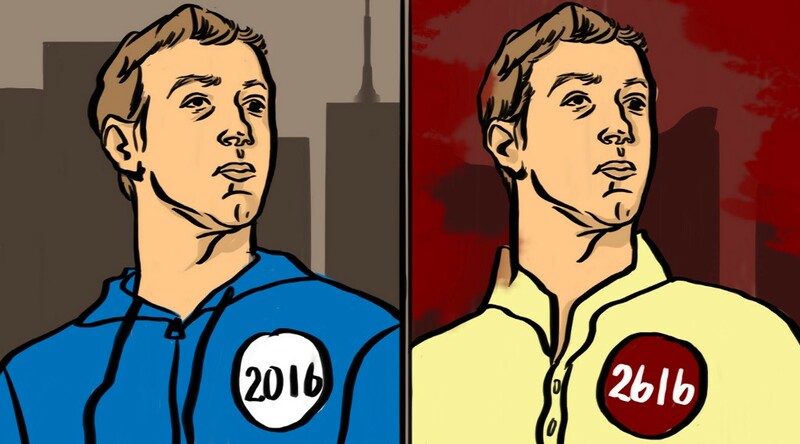 His Plan: A Russian digitial media mogul, the multimillionaire favors the web in his plans for immortality. He founded the “2045 Initiative,” which strives to create a robot that would be capable of uploading human consciousness by the year 2045. Is It Possible? Right now a group of neuroscientists and researchers are hard at work making the Asimovian plan a reality. The company has four goal stages, the first of which involves enabling humans to control bionic limbs. Engineers at John Hopkins have reported success in controlling the fingers of a prosthetic arm using mind control. The U.S. military and the Dalai Lama both support the goals of the initiative to create robotic avatars for humans, so things are looking good. Is It Possible? Give us $3 million and we’ll tell you.